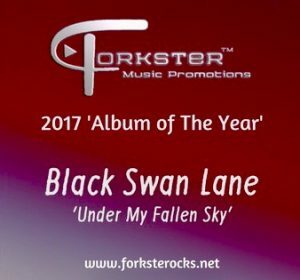 We were excited just to be nominated, but we are happy and humbled to announce we have won the 2017 Album of The Year Award by Tim Forker at Forksterocks.net. We are honored by the nod and have now had the pleasure of getting to know Tim. He is a top guy who is professional and is striving to get more artists involved with his online music magazine and blog. For anyone in the music industry wanting additional exposure, definitely think about placing an ad or let Tim promote your music worldwide! Check out the full music site below! Thanks again to Tim Forker and all our wonderful fans.